Lepi & Associates Real Estate Services has served Muskingum and surrounding counties since 1985, lead by our multi-millionaire dollar sales producer and Broker, Roberta ''Bobbi'' Lepi. Combining our Broker's over 30 years of experience, dedication, and talented agents, Lepi & Associates has reached new real estate heights with a number of awards such as being voted the 2017 & 2018's Best Real Estate Agency in Muskingum County. Our business has and always will be built on honesty and fairness. What contributes to our company's success is our constant consumer friendliness and our unique services such as information and marketing strategies that suit the needs of today’s sophisticated buyers and sellers. 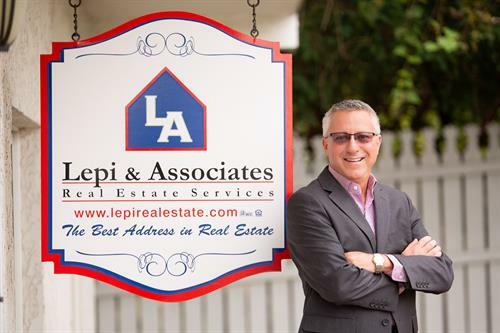 Lepi & Associates is your ''One-Stop-Shop'' for all your real estate needs! We deal with residential, commercial, and property management. Two auctioneers are also available. We handle it all! In additional to producing professional quality virtual tours, we also promote our listings on several social networks, such as Facebook & Instagram, send out direct marketing emails and advertise on multiple websites. We've expanded our exposure with electronic multimedia signs, custom designed websites and extensive work on our SEO (Search Engine Optimization). These improvements not only serve the seller, but also the buyer.